Australian standards for wireless technologies are not health based standards and the radiation permitted from our cell phone network is thousands of times higher than what is allowed in India and many Asian countries. The mobile phone network consists of a system of zones called ‘cells’. Each cell has its own base station that sends and receives radio signals throughout its specified zone. 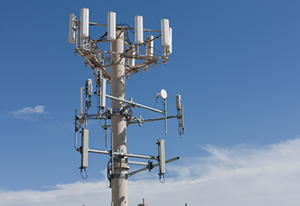 The microwave frequencies emitted from these towers may directly impact your home. The greatest concern is that you can’t see, feel or hear them. Mobile phone carriers use a number of different frequency ranges (CDMA, GSM, 3G, 4G and eventually 5G technologies). Where are the mobile phone towers near my home or school? As a result of the mobile phone boom in the 1990s, man-made digitally pulsed signals have become ubiquitous throughout the western world. This has meant that we are exposed to radiation millions of times higher than when our grandparents were children. The modern digital technology now used by the telecommunication industry uses a pulsed radio (microwave) frequency which many scientists believe are responsible for a wide variety of health effects which is why several countries like France and Cypress have banned cell phones and restricted the use of WiFi in schools. To find out where the nearest towers are located to your home or school, click HERE. Enter your suburb name or postcode into the search bar (and press return). It will get you to verify that you are not a robot. If you think a phone tower is being considered for a site, you will need to contact the planning division of your local council. Is the mobile phone tower affecting my home or school? The levels of exposure will vary depending upon the height of the mast, the tilt of the antenna and the number of services on the tower or building. Microwave radiation is reflected by metal and concrete, is absorbed by grass, and can easily pass through windows. Furthermore it may bounce around a room as a result of foil insulation in the walls! As such, it will be influenced by the terrain of where you live, the presence or absence of trees as well as the type, height and proximity of nearby buildings. Unlike drums and dishes which send their frequency to other base stations via a beam, mobile phone masts radiate their frequencies sideways so that homes at ground level between 80 and 250 metres from the mast may be most at risk. The signals from masts can vary considerably during the day depending upon demand, so the time of the audit may not always reflect worse case scenario. Without the appropriate meter, it is impossible to determine your level of exposure. Whilst Australia follows the standards recommended by the International Commission on Non-Ionising Radiation Protection (which is supported by the World Health Organisation), it fares poorly when compared to other countries. Just to give you an idea as to how poor, the exposure standards for emission from phone towers in the town Salzburg, Austria is 1 million times lower than the current Australian Standards! The problem with the standards set by the International Commission on Non-Ionising Radiation Protection (ICNIRP) which many countries including Australia follow, are described in the book Healthy Home, Healthy Family. Children have a five fold increase in brain tumours if they use a mobile phone and a four fold increase if they use cordless phones (Swedish Professor Lennart Hardell, 2008). Testing for emissions from mobile phone towers requires highly technical and expensive equipment. Furthermore it requires a good knowledge and understanding of the complicated nature and physics of microwave frequencies. There is where a building biologist can be of assistance. For details, click here. To reduce your family’s exposure to microwave frequencies emanating from a nearby phone tower, shielding paint, window film or special fabric (made in Germany) may be required. Consult a building biologist for advice. NOTE: shielding paint requires an expert to apply because if it is not properly earthed, it may actually accentuate the levels in a home! More useful tips are described in the book Healthy Home, Healthy Family.